Premium touch experience Responsive touch functionality by SMART thats more natural and seamless than ever before, and low-friction coated surface that stays cool to the touch. Intuitive at every touch Go from pen to fingers to palm of your hand with object awareness. Flick, rotate, zoom, erase using natural touch gestures that are intuitive and easy to use. 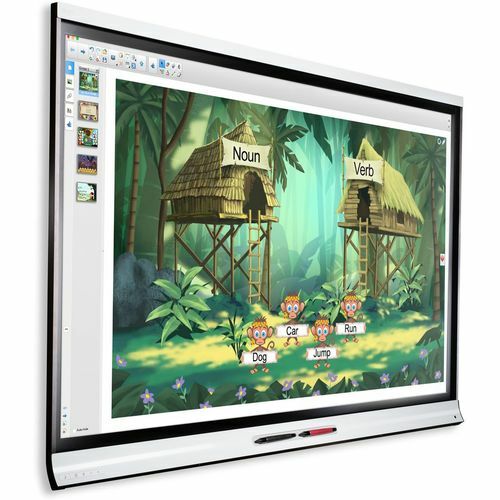 Multi-touch collaboration With multi-touch interactivity, multiple students can work together or independently at the panel with fingers or a pen. Think in ink The 6065 recognizes multiple pen users, so two users can write and draw in different colored digital ink, simultaneously. Your color, your call.